(i.e., PostScript, GIF, Adobe Acrobat, Finale, etc.). NOTE: Not all of these sites are completely free, some also sell downloadable sheet music. Easily add a title.. Compose, Add an official © copyright statement and print, Great for fine-tuning hand-written music notes. The largest free collection of public domain/out-of-copyright classical piano sheet music in .pdf format on the web. Thousands of pages of music exist, including an almost complete Chopin collection, and the complete sonatas of Beethoven and Mozart. Huge archive of free music, mostly classical. Much of it is for piano, but includes many other instruments too. 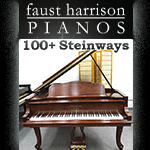 Great selection of free classical sheet music from Virtual Sheet Music, Inc.. Tons of free sheet music, categorized. Hear, see and print classical music scores. Free sheet music, music artists pictures, concert tickets. A huge collection of links to sites with free music! Tip: You need to specify your search is for piano solo or you go to complete orchestral scores. The site launched on February 16, 2006. The library consists mainly of scans of old musical editions out of copyright. In addition, it admits scores by contemporary composers who wish to share their music with the world by releasing it under a Creative Commons license. The most global collection of public domain sheet music on the internet, Cantorion has a fully searchable database of thousands of free sheet music scores and is translated into over 20 languages. We have all the most famous works from the greatest composers, and great collections of Christmas Carols and national anthems. 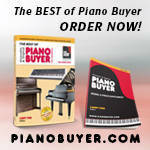 www.vancouvermusicgallery.com Our site offers free sheet music for piano!